Files with acc extension can be found as part of GEM (Graphics Environment Manager). An acc file stores application for GEM. The acc file extension is related to the GEM (Graphics Environment Manager), a graphical interface for DOS-like operating systems (MS-DOS, DR-DOS, PC-DOS) and TOS (Tramiel Operating System - ATARI ST, ATARI FALCON), developed by Digital Research. 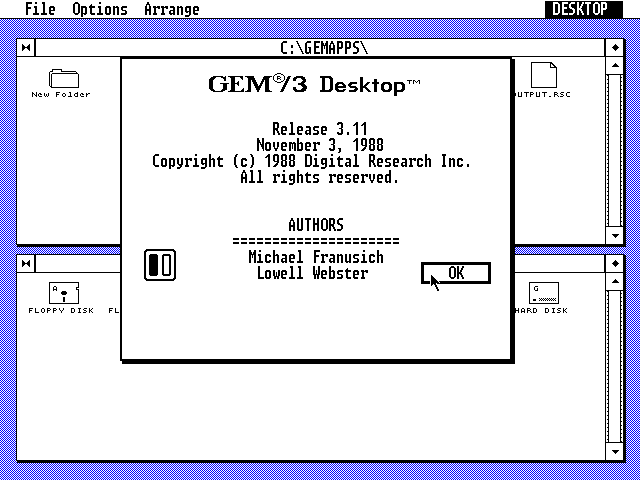 The aac file contains desktop accessory (application) for GEM. This acc file type entry was marked as obsolete and no longer supported file format. An operating environment created by Digital Research for use with the DOS operating system on the Intel 8088 and Motorola 68000 microprocessors. 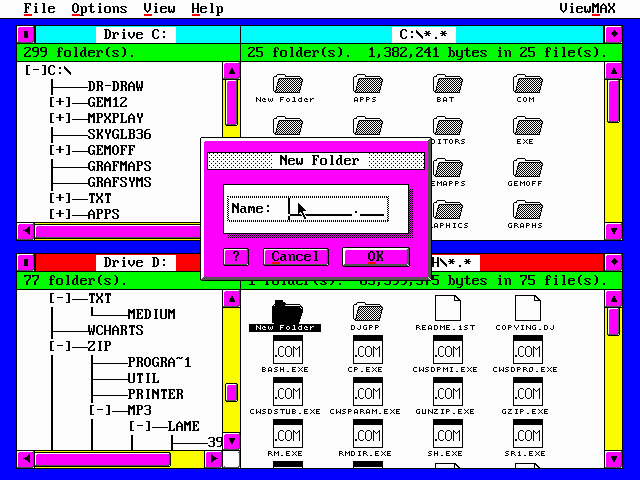 A CUA (Common User Access) compliant file manager supplied with DR-DOS versions 5.0 and 6.0, developed by Digital Research. It is based on a cut-down version of GEM/3. A desktop OS solution, DR-DOS is the ideal embedded DOS system, designed for straight forward out-of-the-box implementation into ROM or Flash ROM. DRDOS makes these tools and associated documents available in the DRDOS OEM Kit. Use GEM or ViewMAX to work with *.acc files. As far as we know, this .acc file type can't be converted to any other file format. This is usually the case of system, configuration, temporary, or data files containing data exclusive to only one software and used for its own purposes. Also some proprietary or closed file formats cannot be converted to more common file types in order to protect the intellectual property of the developer, which is for example the case of some DRM-protected multimedia files. Programs supporting the exension acc on the main platforms Windows, Mac, Linux or mobile. Click on the link to get more information about listed programs for open acc file action. Click on the software link for more information about DR-DOS. DR-DOS uses acc file type for its internal purposes and/or also by different way than common edit or open file actions (eg. to install/execute/support an application itself, to store application or user data, configure program etc. ).